1. To start, login into Enzyme Health and select the "Dashboard" button. 2. From your dashboard, select "Post a Position" 3. 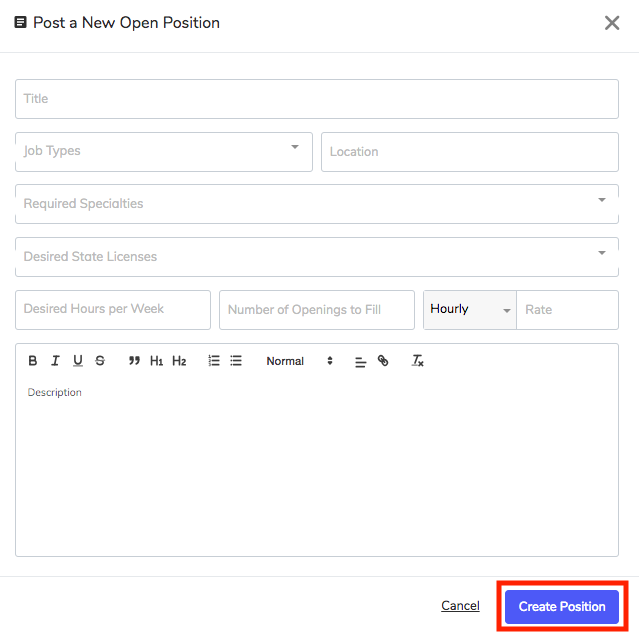 Add all the relevant details to your new job post and select "Create Position". 4. Congrats! Your new position has been created! If you ever need to edit your position, simply select "Edit" from the status drop down.